None of those do it for me. My biggest downfall is Peppermint Bark. A base of dark chocolate, then white chocolate, then sprinkled with chopped up peppermint! OMG! That caramel looks good. 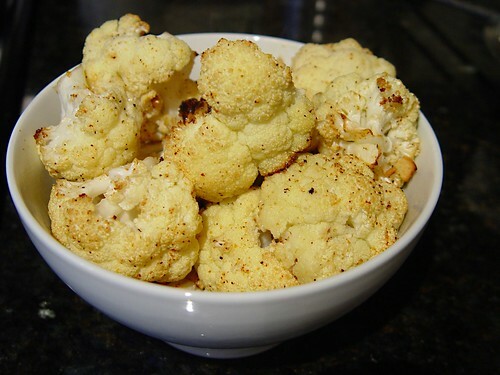 How long do you roast the cauliflower? What do I crave a lot? Chik-Fil-A. Mostly because I only eat junk food on Sunday and they’re closed on Sunday! Sometimes I have to cheat to get my fix. 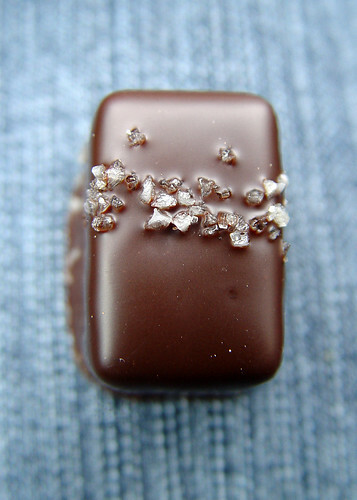 That chocolate in your last photo looks like a little jewel that should be worn around a neck! 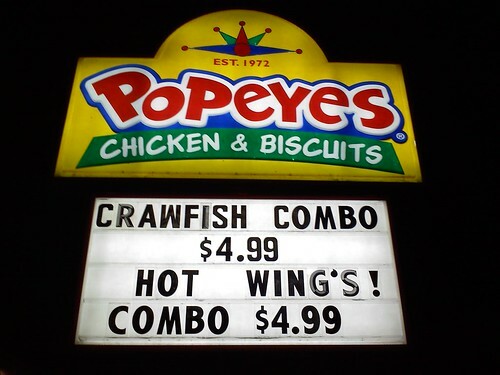 I like Popeye’s(but don’t crave it)–especially the rice. I crave Sour Cream and Onion potato chips sometimes(dipped into plain old sour cream), Ritter Sport dark chocolate with hazlenuts(I will eat the whole thing in one sitting) and freshly made kettle corn. The caramel looks inviting. The things I crave…deep fried shrimp. Now that my seafood allergy is in full swing, even that is denied me. Croustilles from “The Crepery”, deep fried crepes with Gruyère cheese and yoghurt/garlic dip – another thing I can no longer have thanks to my allergies (yoghurt this time). So, Almond Rocca is it and I try not to buy it as I will eat all of it at one sitting. I’m with you ~ I’m always craving chocolate! 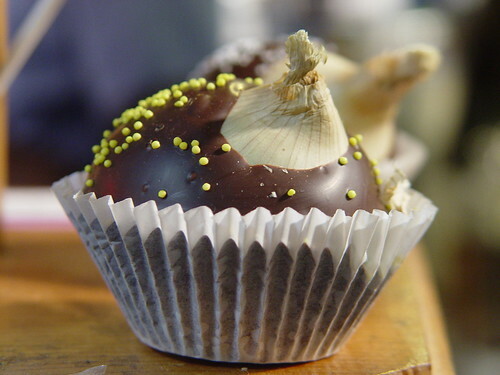 Okay, the chocolate covered caramel with sea salt is incredible! 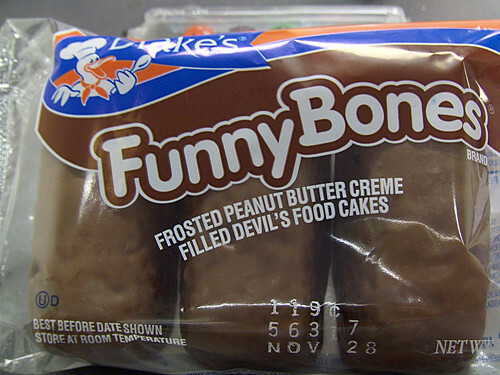 I bought a container of these at Costco a few weeks ago… it didn’t last more than a few days. It was that good. Strangely enough, my scale reading is still in a downward trend… perhaps they are a magic diet pill and I should purchase them again?